Reports of a relatively high prevalence of absolute pitch (AP) in autistic disorder suggest that AP is associated with some of the distinctive cognitive and social characteristics seen in autism spectrum disorders. 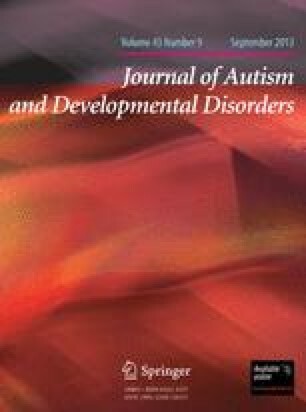 Accordingly we examined cognition, personality, social behavior, and language in 13 musicians with strictly defined AP (APS) and 33 musician controls (MC) without AP using standardized interviews and tests previously applied to identify the broad autism phenotype seen in the relatives of autistic probands. These included the Pragmatic Rating Scale (PRS) (social aspects of language) the Personality Assessment Schedule (PAS) (rigidity, aloofness, anxiety/worry, hypersensitivity), and WAIS performance subtests (PIQ). On the basis of their behavior in the interviews, subjects were classified as socially eccentric, somewhat eccentric, or not eccentric. Forty-six percent of the APS, but only 15% of the MC, were classified as socially eccentric (p < .03). APS but not MC showed higher scores on block design than on the other PIQ tests (p < .06), a PIQ pattern seen in autism spectrum disorders. Although APS and MC did not differ significantly on other measures it is of note that APS mean scores on the PRS and PAS (5.69, 4.92) were almost twice as high as those for the MC (3.03, 2.45). Thus, musicians with AP show some of the personality, language, and cognitive features associated with autism. Piecemeal information processing, of which AP is an extreme and rare example, is characteristic of autism and may be associated as well with subclinical variants in language and behavior. We speculate that the gene or genes that underlie AP may be among the genes that contribute to autism.